This website is a new version of OJS for Media Gizi Mikro Indonesia. Click http://ejournal.litbang.depkes.go.id/index.php/mgmi to visit the old version website. 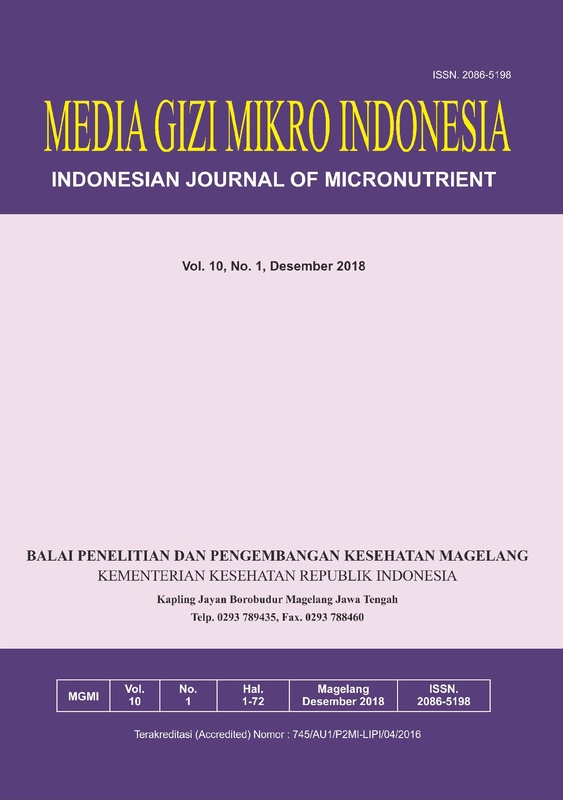 Media Gizi Mikro Indonesia (Indonesian Journal of Micronutrient, p-ISSN: 2086-5198, e-ISSN: 2354-8746) is published by Balai Penelitian dan Pengembangan Kesehatan Magelang, National Institute of Health Research and Development , Ministry of Health of Republic of Indonesia.